The new year is ramping up, and I’m sticky to my resolution to eat well. 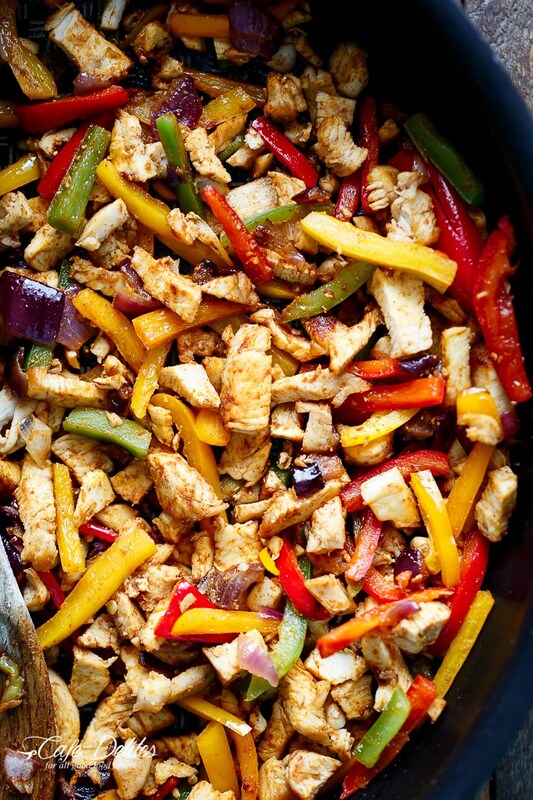 But it’s still winter, and I’m craving comfort food…the compromise: sizzlingly good (and healthy!) fajita sweet potatoes…aka, comfort food with a kick of cumin. 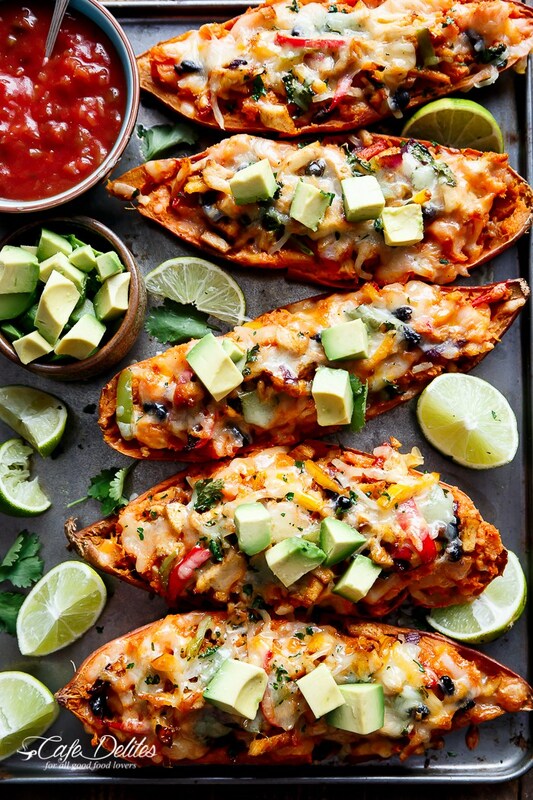 The Dish goes Southwestern this week with these deliciously low-cal Twice Baked Chicken Fajita Sweet Potatoes, the perfect fuel to finish up your January to-do lists. Quick and easy, with a heaping dose of shredded Mexican cheese and spices, this recipe naturally goes great with a chunky salsa or fiery Pico de Gallo. While the sweet potatoes are cooking, add a small amount of oil to the pan; add the onions to a skillet/frying pan over medium-high heat. Once transparent (about 1-2 minutes), add the chicken, garlic and capsicum/peppers. Cook until the garlic is fragrant. To put the finishing touches on this fun Tex-Mex meal, we recommend a neutral-toned plate that showcases the dish’s vibrant ingredients. 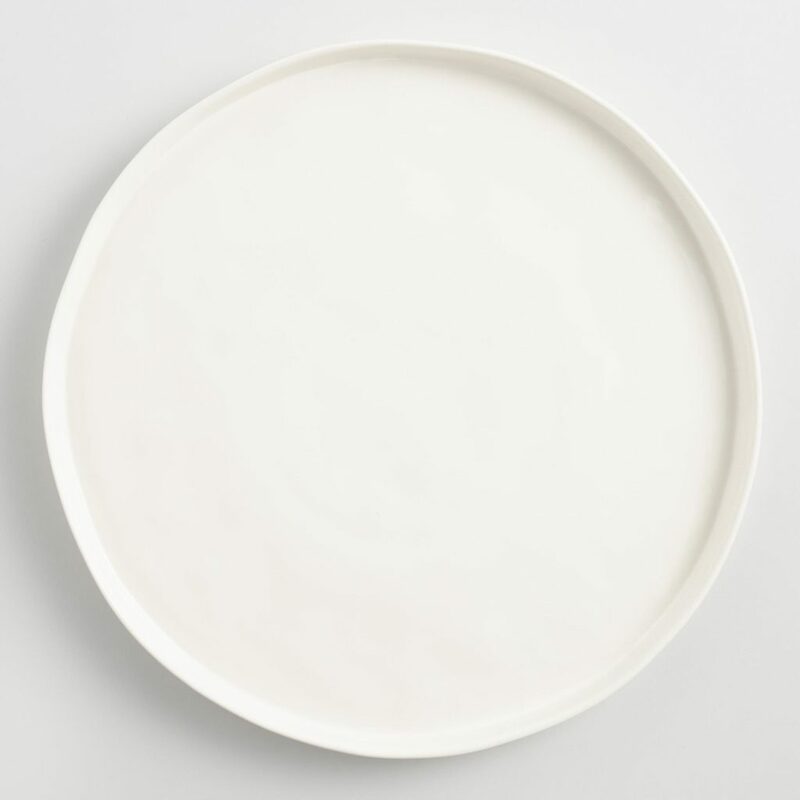 These matte Ivory Organic Rimmed Charger Plates from World Market do this and more, adding an intriguing stoneware border to whatever recipes you whip up.